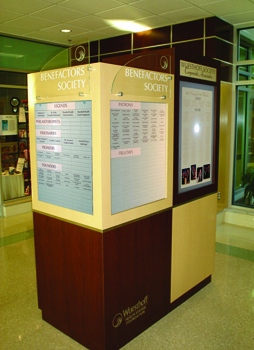 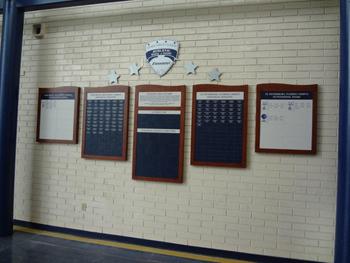 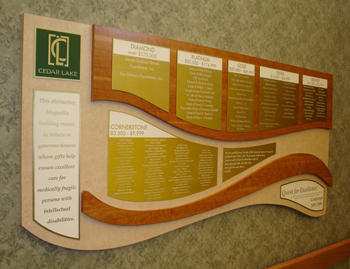 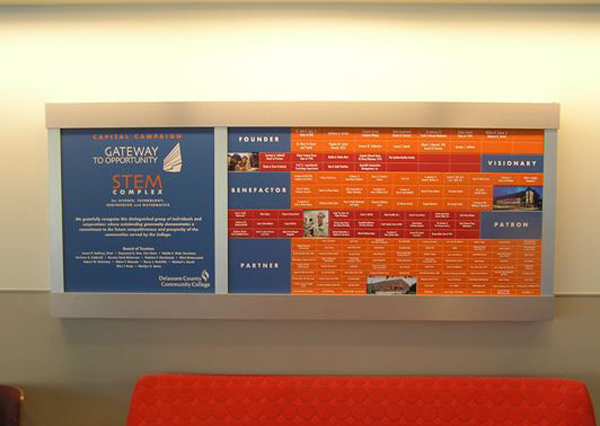 We proudly create beautiful custom recognition displays and donor walls. 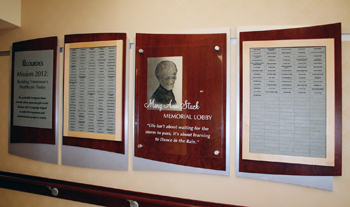 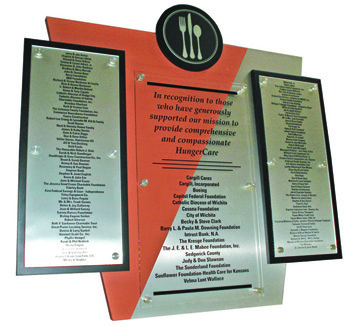 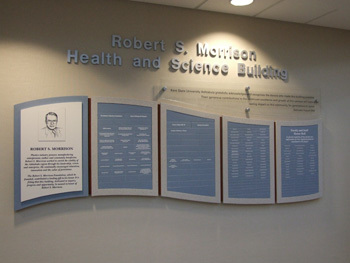 These products are typically featured in lobbies and prominent hallways to honor people that have donated money and recognize other key personnel in an organization. 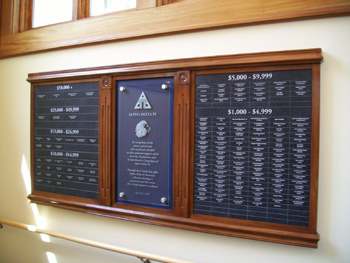 Our experience and resources have enabled us to work with you to create the right kind of piece that is completely customized to compliment your specific setting. 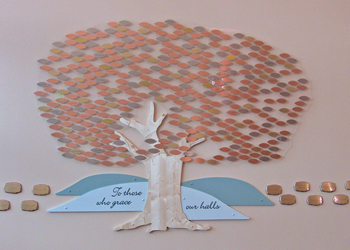 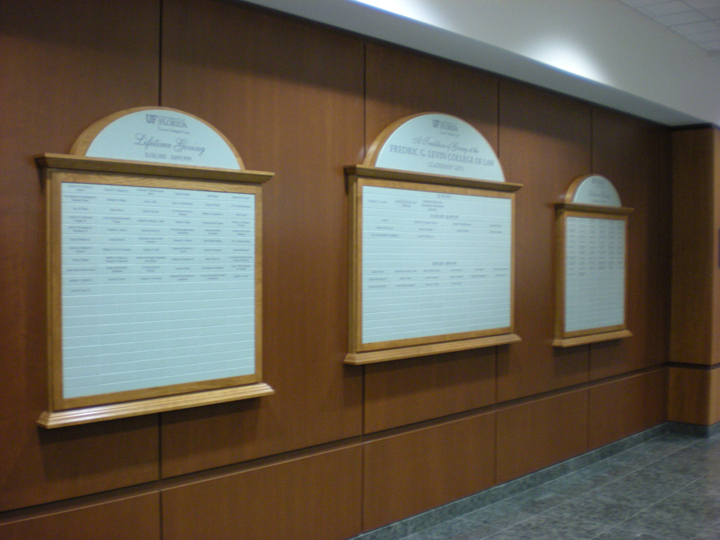 We will discuss various options with you to determine your donor recognition wall needs. 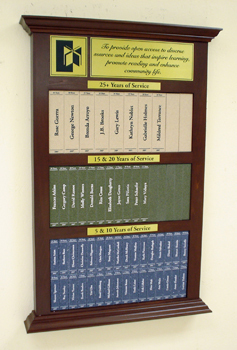 All of our displays are custom designed because each of our customers has unique needs. 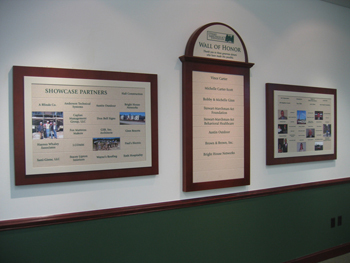 See some examples below of ones that we have made in the past. 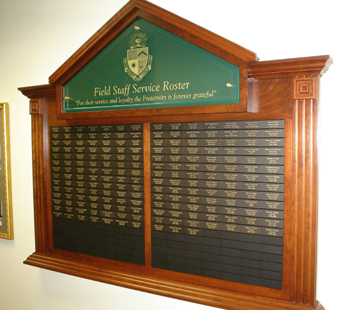 We are proud of every one of them. 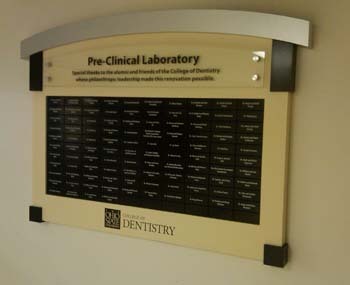 Use them to spark creative ideas for your own project and give us a call to discuss it further. 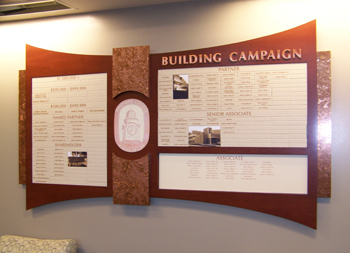 Clients love our fabrication capabilities and the high quality custom recognition walls that we produce. 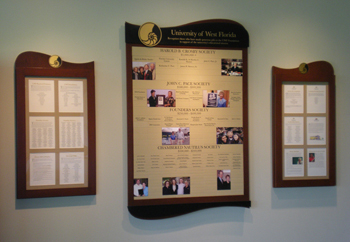 You will definitely love the work that we do.